Gouriqua 305 - Mossel Bay Accommodation. 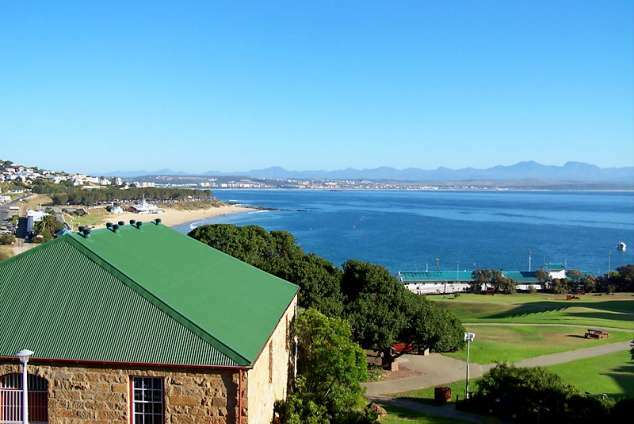 A 4 star graded modern and luxurious self catering 2 bedroom apartment in Mossel Bay. Overlooking Munro's and Santos beach, this apartment is North-West facing and has magnificent sea and mountain views. The photos of the view have been taken without any zoom from the enclosed balcony with build in braai. Mossel Bay is said to have the second most moderate climate in the world( second only to Hawaii) This makes Mossel Bay ideal for outdoor living 12 months of the year. The apartment is located in a brand new development. It is conveniently located close to the beach and within walking distance from the beach and great restaurants like the famous Gannet sea food restaurant. It is also very close to all the essential shops, to allow you to park your car in the secure basement parking and walk whereever you want to be. The apartment also overlooks the historical Diaz museum and the shell museum. It is also located within walking distance of the harbour. The spacious( 90 sq metres) apartment has 2 bedrooms, one with a full en-suite bathroom and the second with a seperate bathroom. It has a large open-plan living area bordering the dining room and kitchen in an open plan format. The spacious living area is equipped with a leather lounge suite,LCD TV, DSTV and DVD/CD player. The kitchen is fully equipped and there is also a washing machine/dryer combination. Mossel Bay is located about 45km from the George Airport and is ideally situated for day trips to Oudtshoorn, George, Knysna, etc. The Garden Route area is renowned for all its Golf courses and Mossel Bay has an excellent Golf course itself. Mossel Bay's beaches are ideal for water sport and the water is very safe for swimming. There are various game farms close to Mossel Bay and also a Lion park. The apartment is fully equiped and all you have to bring is yourself and your beach towel! 19961 page views since 25 May, 2009. Last updated on 04 Jun, 2018.